and splayed across my TV screen. The unspoken agony of the recently deceased. Killed in the frantic scramble –the near paralysis – of impending defeat? What (maybe) God (might) think of the world. and poured a metaphysical pint of beer. and that young man, Vine? and so sat waiting , for a sign. and sometimes the trash can. And so sat back, and wept a little, for such cares. “ News? I’ve heard it all before. Ought to show them the eternal door! And so sat up, and flipped channels to Sky. This poem was written ages ago, 9/6/99 in fact. I was listening to Andrew Motion being interviewed (on BBC4 Today programme if my memory serves me well) just after he had become the then new Poet Laureate, wherein he bemoaned the lack of time. I heard him read a couple of years ago, and am particularly fond of his collection, ‘Public Property’ . to take time to smell the roses. This poem was written in 2003, and, like a lot of the poems of the last 12 years or so, was inspired by Helen. 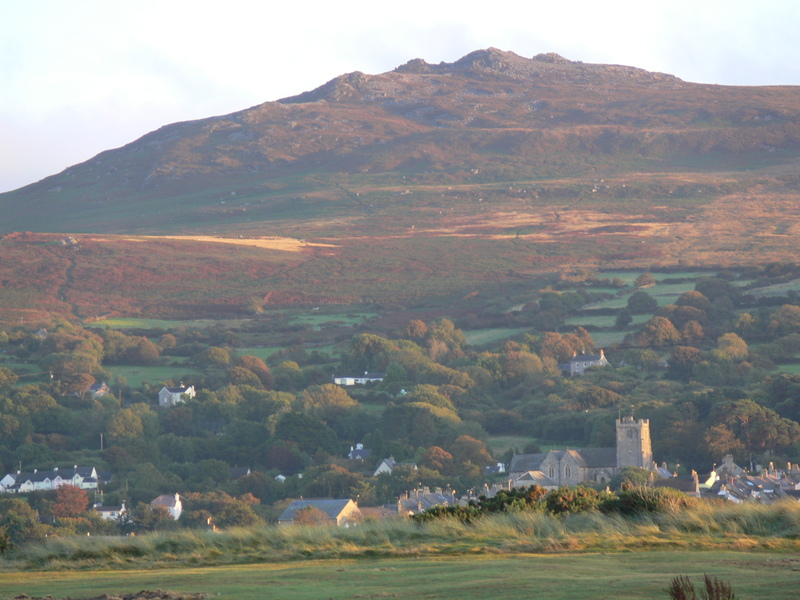 Carningli (The Mountain of Angels) is the mountain which lies behind Penrallt Farm and it is an awe inspiring and ancient place. I love to walk there, more than pretty much anywhere else I have ever been. And I love getting home too…. And your melon scented kisses. About 14/15 years ago I collated a small collection of poems, under the title of ‘Rewarded by Dolphins’. My intention for this blog is to begin to set out a collection of new poems, written during the last decade or so – but I wanted to start this creative adventure of mine with a couple of pieces that relate to my grandparents, who I loved dearly, and who gave me an inspirational vision of what ageing well can be like – a path made much easier for them by my mother, who made sure that their long journey was a comfortable and an honoured one. 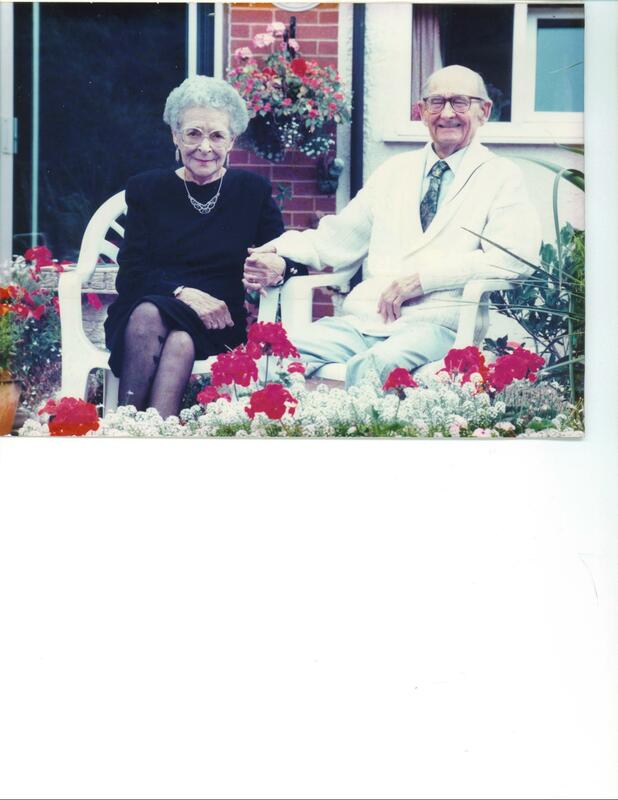 “Ray and Nellie” were married for just over 70 years. as you lay, serene in death. What were you thinking of in those last, feather breathed days? Old cars and older friends? Well, I like to think that the same moonspangled carpet will be laid out across the sea tonight, and, if I was making my voyage again, that I would see the sailor and the lady, sitting at a a table, straight backed and forever young. For an instant they might look towards my ghost ship passing by, and, later, I think they will turn and look eagerly for us all. But for now? They only have eyes for each other.